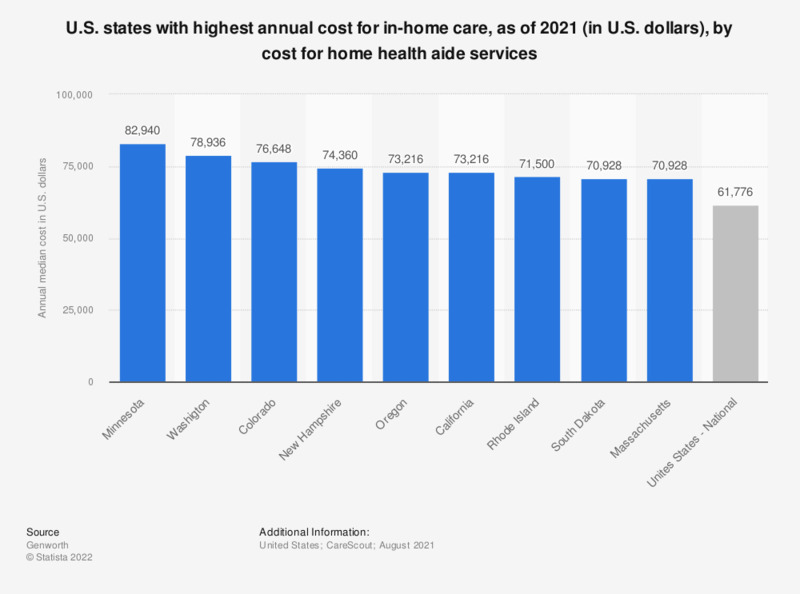 This statistic displays ten states with very high costs for home health aide services based on median annual costs in the United States, as of 2018. Annual median home health aide services costs are around 62,000 U.S. dollars in Massachusetts. Long-term health care can be provided in various environments. Home health aide services allows individuals to live within their own homes, but provides services that family and friends may not be able to provide.